Apart from their husbands-to-be, brides are more in love with their wedding dresses than anything else! The wedding dress is the bride's opportunity to embrace her femininity, her personality, and her own unique style. Brides have different opinions on the process of choosing their wedding dresses. Most consider it one of the best parts of wedding planning, but some brides find it quite stressful. If you've been stressing out about finding your perfect dress (or if you're just looking for ways to make the process easier), then this blog post is for you! Here are six tips to make finding your dream wedding dress stress-free. Making decisions about a dress based on the way it looks while it's on the hanger is one of the biggest mistakes a bride can make. Nine times out of ten, a dress will look very different on a bride's body than it did on the hanger. Be sure to try on each dress before making any decisions. Every woman can attest to the fact that certain bras change their figures, so it should come as no surprise that the underwear and bra you wear underneath your wedding dress will impact the way the dress fits. Save yourself the hassle by wearing the same undergarments you want for your wedding to your dress fittings. Most dress fitting appointments last about an hour. This can be plenty of time, but only if you have done your homework beforehand. Don't go to your dress fitting appointment without a good idea of your favorite dress styles or designers. You don't have to have specific dresses in mind, but it's a good idea to bring photos of dress styles you like so you can show them to your attendant. This is guaranteed to make your dress fitting process much easier. Wedding planning experts will tell you to start shopping for your wedding dress at least 6-8 months prior to your wedding date. This allows for plenty of time to decide on your dress and to make all the necessary alterations. There will be plenty of last minute details to handle as your wedding date approaches - save yourself the extra headache by giving yourself plenty of time to finalize your wedding dress. No one can force you to spend more on a dress than you want to. Decide on your price range before you begin shopping for dresses, and don't be afraid to stick to it. You may have to hunt for it, but brides can almost always find a dress they love in their initial price range (if they're willing to work for it). Your wedding dress is a reflection of you. As you search for your perfect wedding gown, don't be afraid to look for a dress that closely matches the style of the dresses you already own. 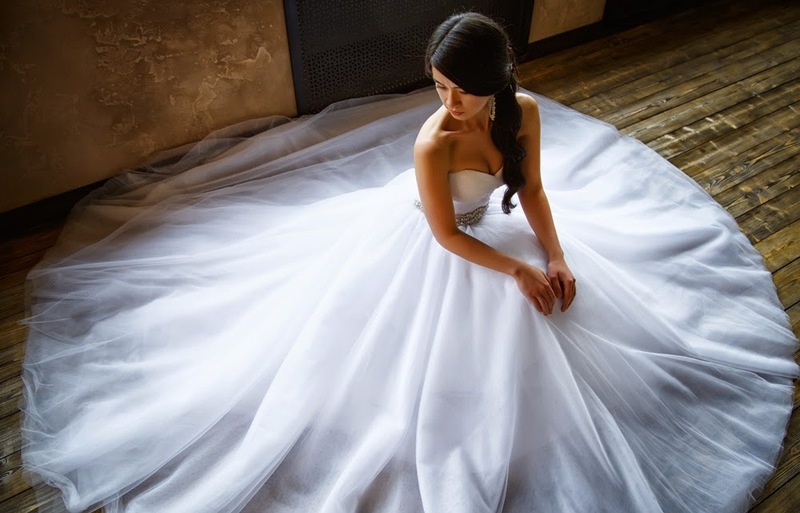 At the end of the day, your wedding gown should represent YOU. What other tips and tricks do you have for finding the perfect wedding dress?